The new year is typically marked by a period of reflection and planning. Often resolutions are the result of this thought process. Since becoming a parent, I find that I no longer solely ponder the areas of my life that require my attention but also how that shift in the balance of time will affect my family unit and whether the benefit will outweigh the cost. Like most people, taking better care of myself by exercising more and eating a bit better tops my list. 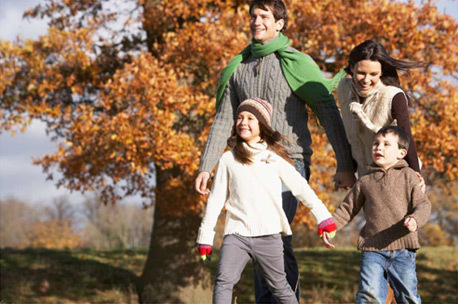 The nice thing about these goals is that efforts in this direction directly benefit the whole family, not merely the beneficial affects of exercise such as mood enhancement and stress reduction, but also by setting an example and helping to inspire loved ones to adopt healthier practices as well. How to be most efficient, or better yet, impactful with these efforts is a better question. • A study in 2000 by the National Institute of Child Health and Human Development found that Americans gain on average .4 to 1.8 lbs per year throughout their adult life with about 1 pound of that weight gain occurring during the winter holiday season. • Upon establishing The Alliance for a Healthier Generation in 2005 jointly with the American Heart Association, former President Clinton, representing the Clinton foundation, stated “Without proper prevention and treatment of childhood obesity, our current generation could become the first in American history to live shorter lives than their parents. • The percentage of overweight children in the United States is growing at an alarming rate, with 1 out of 3 kids now considered overweight or obese. However, this is a new year and the start of a new year is typically, and should be, characterized by optimism and hope. Keeping that in mind, I encourage you to think beyond 2011 and look 5, 10, 15 years ahead for you and your family. What do you hope your life will look like at that time? What activities do you hope that you and/or you children will or will be capable of participating in? 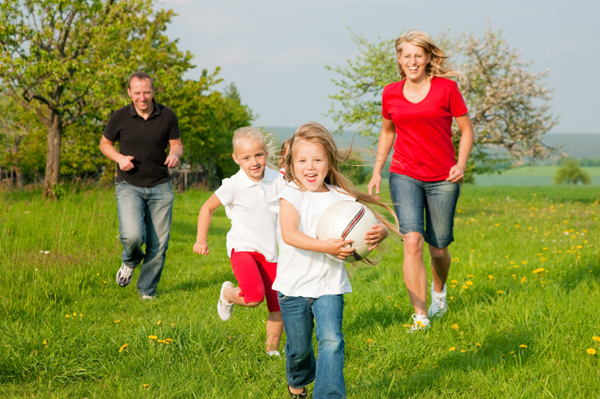 What aspects of your family lifestyle need to be adjusted in order for those goals to be attainable? What changes would you need to make this year to turn over a new leaf and embark down the path of your above stated goals? If you are like most people I speak to, you hope to age gracefully, maintain a good quality of life, and uncover the ‘secret’ to sustainable health. You hope that your children will acquire the skills to attain lifelong vitality. These sound like lofty goals, and I do recommend setting more specific short term goals; however, the key to all of this is learning to take time out and prioritize and commit to physical activity as well as mindfulness surrounding your nutrition. The key to the message above is commitment. • Schedule it. Very few people ‘have time’, you have to ‘make time’. You have to schedule your activity times otherwise they just won’t happen. Sadly, it’s always easier to not do something than it is to do nothing. • You can’t out-exercise a bad diet. Cut out or cut back on processed foods and attempt to consume a diet that’s rich in vegetables, quality animal proteins and good fats. • ‘It takes a village’. Ask for help and support from other families and friends. Plan active outings. Try new activities. Ask to be held accountable. • Commit to consistently participating in activities you already enjoy as a family or commit to trying out the activities that are enjoyed by each family member. Incorporate some body weight strength training (push ups, body weight squats, sit-ups, for example). • Seek out expert advice. Muddling through the quagmire of what’s good and what’s not can be daunting and intimidating. There are experts available for all of it: personal trainers, nutritionists, life coaches… You name it and there is someone who can help guide you. • Be realistic, be gradual, be forgiving. If you are starting from ground zero, 1 or 2 hours per week is a big improvement and is more likely to build on itself than shooting for the moon. You may get off track but don’t be discouraged, you are making a gradual shift in the right direction over a lifetime. Try to make every day, or week, or month a little bit healthier than the last. • Enjoy the journey! As with most endeavors, attitude is everything. Whenever motivation wanes, or life gets in the way, gently remind yourself and your family that your healthy future together is worth the effort. This entry was posted in Healthy Lifestyle and tagged exercise, Healthy Lifestyle, parents.